Just a little party prep, trains, reading and browsing the mini boden catalogue that they sent us recently. We also had "Second Look" this weekend, where the residents who want to come to Tyler for residency come down and double check that this is really where they want to come. They bring their spouses and we have lunch, play volleyball (I really dont know why this is a tradition. Imagine interviewees with possibly zero athletic ability feeling the need to spike a ball to make sure they have a spot in this residency. It is a hilarious combo of stress and fun), and go to a physicians house with all the residents, faculty and new interviewers to eat and drink. Oh, and a babysitter for all the kids upstairs. It was really nice. It reminded me of when we came and did this same thing three years ago. So crazy how fast everything goes. (It was just last year that I had my hairmageddon and couldnt be seen in public so I couldnt go to second look. vain, I know. It was bad, though, people. Bad.). I was so so nervous to come to Tyler and for everything to end up like my first year in Lubbock where I was depressed and alone (until ashley and crew changed my life). I was determined for this time around to get myself and my kids, out there. So we did. We went to every playdate and I got my kids in a preschool. We did things with our neighbors and had them over almost every day. I wanted to be involved. (Well, I just didn't want to be depressed, mostly.) Then, as we have all seen, I made the best friends I could have asked for. I have a core group of spouses that, together, we have guided each other through our ups of new babies, downs of constantly working husbands, exhaustion, keeping a budget, over eating at mcdonalds, and everything else. I could not have asked for better people to walk with through this time. I know that God knows that I am fragile and that I need good friends, real friends, more than I need running water and He always always provides. Always. Thank you Lord. Thank you Tyler. You have truly been a blessing and I will be more sad to leave than I can ever say. Jeff officiallyish has a job in the dallas area and we will be moving in July. I am in complete denial about having to leave my people, my neighbors, my running streets and my little white house. But I am so so thankful for Jeff's job and the new opportunities that are coming with that. I have always wanted to be back with my family and my friends there, so I could not be more thrilled about that. And hopefully this transition will be the easiest one yet. So, again, praise the Lord for this new life and new opportunities and all that our life holds, coming this summer. And, at the risk of sounding more cheesy than I have, I just wanted to thank you. Thank you for reading, commenting, encouraging, emailing and being there for all of these transitions and moves and starts and ends. It means so so much. I know moving will be hard, BUT we are soooo excited for Barstads in Dallas!!!!! 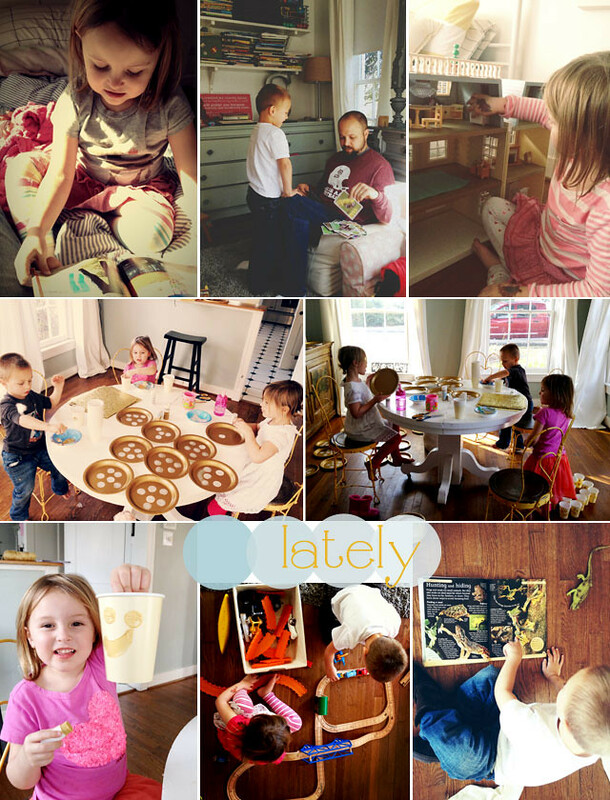 I found your blog through Jen Baker (I worked with her in Dallas) and just love all of the fun you have with your kiddos! My brother and sister in law just moved to Tyler! So far, they are really enjoying it and slowly meeting people. She's also a doctor....i think that's what your hubs does. Anyway, best wishes on moving! And I love yalls blog! McKenna's Goody TWO Shoes Party!